"The NASA Hubble Fellowship Program selects some of the best new scientists and provides opportunities for them to excel in the field of astrophysics," said Paul Hertz, Astrophysics Division Director at NASA Headquarters, Washington, D.C. "Their discoveries will advance our understanding of the cosmos and bring us closer to solving the mysteries of the universe." More than 500 of the world's prominent and active scientists in astrophysics have been supported in their early careers since NASA began the fellowship program in 1990 with the creation of the original Hubble Fellowship. The Space Telescope Science Institute (STScI) administers the NHFP on behalf of NASA, in collaboration with the NASA Exoplanet Science Institute (NExScI) at the California Institute of Technology in Pasadena, California, and the Chandra X-ray Center (CXC) at the Smithsonian Astrophysical Observatory in Cambridge, Massachusetts. 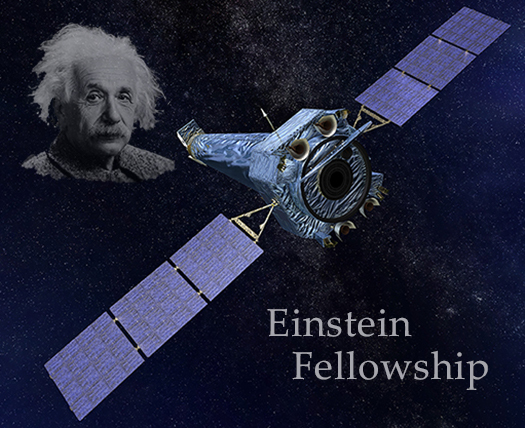 The Chandra X-ray Center administers the Einstein Fellowship program for NASA. NASA's Marshall Space Flight Center in Huntsville, Alabama, manages the Chandra program for NASA's Science Mission Directorate in Washington, D.C. The Smithsonian Astrophysical Observatory controls Chandra's science and flight operations. STScI administers the Hubble Fellowship program for NASA. STScI is the science operations center for the Hubble Space Telescope and the science and mission operations center for the James Webb Space Telescope, scheduled for launch in 2020. STScI is operated for NASA by the Association of Universities for Research in Astronomy, in Washington, D.C. The NASA Exoplanet Science Institute, which is operated at the California Institute of Technology (Caltech) in coordination with the Jet Propulsion Laboratory, administers the Sagan Fellowship program for NASA. For photos and more information about the 2018 NHFP Fellows and this program, visit: https://nhfp.stsci.edu/nhfp-2018-fellows.